No abstract question has of late years attracted or deserved greater attention than the inquiry whether history is or is not capable of being studied as a science. The activity of the controversy is proved by the fact, that within the last few months two articles on the affirmative side have been contributed to a well-known quarterly review, whilst the professors of modern history at each university have published lectures maintaining the negative. To the world at large the chief interest of the question lies in its bearing on morality. It is a phase which, in this country at least, is somewhat novel and unusual of the old controversy on free-will and necessity, the interest of which it revives rather by the new evidence which it is supposed to adduce on the necessarian side than by new arguments. As usual in such cases, the temper in which the antagonists write has more to do with the sympathies of their readers than the arguments which they use; and judging by this test, there can be no doubt that those who oppose the notion that history can be treated as a science are, and in several important respects deserve to be, on the popular side. They profess to be, and no doubt are, actuated by a genuine desire to uphold both the dignity and the morality of human conduct, and they are able to put forward some strong and many specious reasons for contending that their antagonists are indifferent to both. Their opponents, on the contrary, write, for the most part, with a disregard for the feelings of mankind which is almost studied, and seem to feel a positive satisfaction in the prospect, which their speculations appear to afford, of overthrowing most of the principles on which morality depends. An attentive examination of the subject will, however, be found to tend to the conclusion that the whole discussion is altogether irrelevant to morals, and that the base upon which they rest would remain unshaken, even if it should turn out to be possible to construct a real science of history. 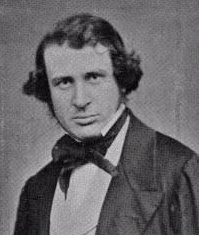 The apprehensions entertained by those who deny the possibility of constructing a science of history are stated with eloquence by Mr. Goldwin Smith. "I shall," he says, "continue to believe that humanity advances by free effort, but that it is not developed according to invariable laws, such as, when discovered, would give birth to a new science. I confess that I am not wholly unbiassed in adhering to this belief. . . . There is no man who would not recoil from rendering up his free personality and all it enfolds to become a mere link in a chain of causation—a mere grain in a mass of being—even though the chain were not more of iron than of gold, even though the mass were all beautiful and good instead of being full of evil, loathsomeness, and horror." These vigorous words express with much point the feeling with which the writings to which they refer must excite in almost every mind at first sight, and which their faults of style tend greatly to excite and confirm. Otherwise expressed, they involve some such assertions as these:—Physical science is possible, because matter is inanimate, and is moved according to necessary laws; science relating to human actions is impossible, because man is a free, rational, and responsible agent. In the opening sentence of his lecture, Mr. Goldwin Smith expresses this feeling. "The first question which the student has now to ask himself is, whether history is governed by necessary laws? If it is, it ought to be written and read as a science." The following words of one of his opponents are to much the same effect:—"In the physical and the moral world, in the natural and the human, are ever seen two forces" (the italics are not in the original)—"invariable rule and continual advance, law and action, order and progress; these two powers working harmoniously together, and the result inevitable sequence, orderly movement, irresistible growth." The question between the two thus appears to be reduced to this—Whether a state of things which each recognizes in the physical, prevails also in the moral world. This is affirmed by the one, and denied by the ether. It is unquestionably true that physical science supplies evidence as to what morality has to hope or to fear from the invention of a science of human actions, if such a science is possible. Hence, the first step towards ascertaining the interest of morality in the discussion must be to ascertain the truth of the popular notion that physical science is founded upon the existence of brute matter, moved according to necessary laws. These phrases, and especially the latter, are so constantly used by the disputants, that they colour the whole discussion. The discovery of the "laws" by which physical nature is "governed" is constantly asserted to be the great object of all scientific inquiry. The hope of discovering similar "laws" "governing" human conduct is the prospect which animates those who believe in the possibility of constructing a science of history. What, then, is meant by the "laws" with which physical science is conversant? To speak of matter being governed at all, and still more to speak of its being governed by law, is obviously a metaphor, but it is a metaphor so natural and so common that, to almost every one, it stands in the place of the definite assertion of a truth. It is, therefore, not so superfluous as it may at first sight appear to state what the precise meaning of the words "law" and "govern" is. A law is a command enjoining a course of conduct; and a command is an intimation by the stronger to the weaker of two reasonable beings, that unless the weaker does or forbears to do some specified thing, the stronger will in some way or other hurt or injure him. People are said to govern others by law, where they influence their conduct by imposing laws upon them. That this is the proper sense of the word "law," and that all others are derivative and metaphorical, has been abundantly proved by well-known writers on the subject, especially by the late Mr. Austin, in his Lectures on the Province of Jurisprudence, and especially in the first and fifth. It is obvious, from every part of this definition, that reason on the part both of the governor and the governed is essential to the very notion of law; and that, therefore, as applied to material objects, the word is purely metaphorical, and means nothing else than that we observe in their motions a regularity which, if they were reasonable agents, originating from time to time their own motion, would show their complete obedience to what, if it had been addressed to them under penalties, would have been a law. If the sun and the planets were men, who yielded implicit obedience to a command to keep constantly moving in certain directions, those directions would be indicated by the principles discovered by astronomers; and as the bodies in question do in fact move constantly in those directions, the principles are called laws. If the language of the necessarian school of historians is to be taken strictly, it implies not that persons are necessary, but that things are voluntary agents, for it represents them as yielding obedience to commands. Nothing sets the contrast between proper and metaphorical laws in so clear a light as specific illustrations of each. Few metaphorical "laws" are better known than the laws of motion, the third of which is as follows:—"When pressure produces motion in a body, the momentum generated is proportional to the pressure." Compare this with a law in the proper sense. The following is the sixth section of an Act of Parliament passed last session, respecting the commutation of tithes:—" The commissioners shall have access to the books of the comptroller of corn returns, and shall be furnished by him with such information as they may require for the purposes of any award," &c. A comparison of these different "laws" sets in a strong light the inadequacy and the misleading and delusive character of the metaphor which assigns that name to the former. The great leading distinction between them is, that, in the case of the laws of motion, the facts make the law; in the case of the Act of Parliament the law governs the facts. If one exception to the third law of motion could be established, the law would hold no longer. If every comptroller of corn returns in England refused access to his books to the commissioners, the law upon the subject would remain just as it is, and would be called into operation for the purposes of punishment. Thus the vital distinction between real and metaphorical laws is, that the first are commands, the second are mere records of facts, and, by describing them as laws, the mind is almost inevitably infected with the notion that they have not only an existence of their own apart from facts, but an energy of their own by which they control them. There is no doubt one sense in which such "laws" as the laws of motion may be described by that name without impropriety. They are rules for conducting investigations, and may thus, without any violent abuse of language, be described as laws binding on the mind which pursues such investigations, the penalty being error. Thus the third law of motion might be expressed as follows:—"Whoever wishes to ascertain the momentum generated in a moving body must make his calculations on the principle that the momentum is proportional to the pressure." If it be assumed that there is an intelligent Author of Nature, and that there is evidence that his will as to scientific investigations is to this effect, the laws of motion may be described as laws in the proper sense of the word. Upon any other supposition, the use of the word is more or less improper. The most appropriate way of expressing this would be to drop the use of the word "law" altogether in such cases, and to substitute for it either "rule" or "formula," either of which fully expresses what is intended, whilst neither is misleading. Such expressions as the "laws of gravitation" have led many people into serious error, but no one was ever misled by speaking of the rule of three into the notion that numbers form a sort of society amongst themselves. This account of the nature of the subject-matter which science investigates, shows that it teaches far less about material objects than many people are led to believe by the vast practical importance of modern scientific discoveries. No phrases are more common than those which assert the brute inanimate nature of matter, and the certainty of scientific processes is supposed to depend upon this circumstance. Upon closer examination, it will be found that physical science asserts absolutely nothing whatever on this point. The words in which we describe material objects are mere veils for our own ignorance and metaphors derived from our own conduct. The sciences which we have devised for the purpose of understanding them are relative exclusively to ourselves, and not to them. Thus, when we say the cannon-ball knocks down the house, we speak incorrectly, for we predicate action of the cannon-ball, and we cannot prove it. All that we can say with certainty is, the ball impinges, the wall falls. In practice, no doubt, it is constantly necessary (as the whole structure of language proves) to personify the material world, and attribute to it action and passion; but in doing so, we expose ourselves to the risk of raising a phantom which is very embarrassing when we come to speculate on human conduct—the phantom of a set of slavish agents destitute of any moral relations whatever, and capable only of receiving impressions from without. Physical science gives no warrant for any such opinion as this. It tells us nothing about the internal constitution of material objects. We do not learn from it that matter is inanimate, insensible, and incapable of voluntary action, but only that we have no evidence to the contrary; and that whatever may be the truth on this point, all the sensible motions of all weighty objects, whether known or not known to be animated, may be predicted by the help of certain general rules of calculation. The rule that the force of gravity varies inversely as the square of the distance, applies equally whether we wish to calculate the height and length of a man's jump or the direction of a planet's orbit. The one agent is rational and voluntary; of the other we know absolutely nothing, but we use the same formula to form our judgment in each instance. Such formulas enable us to determine the mode of the actions which we use them to predict, but they show nothing whatever as to their cause. It would be impossible to disprove on scientific grounds the assertion that a chair or a table has a soul, though it would be easy to show that we have not the smallest reason to think so. A year or two ago a curious and very ingenious little book was published, the object of which was to prove that the material world was living, and that we were prevented from recognizing its life by the limited nature of our own organs; nor could any other answer be given to it than that such a doctrine is a mere guess, unsupported by any evidence. Left free the human will." That nature is bound fast in fate is a proposition altogether beyond our knowledge; all that we know is that we can predict some of the events which will occur if things continue to go on as they hitherto have gone on. Whether or not they will so continue is a point on which we know nothing, though we have no reason to doubt it; but there is a great distinction between affirmative knowledge and what must be called negative certainty, and the neglect of this distinction is a fruitful source of hasty conclusions and bitter jealousy. The subtlety of metaphors, and the ease with which the common usages of language mislead all but the most careful observers, is one of the most singular facts in the whole history of speculation. Thus it is almost always assumed that to affirm that it is certain that something will happen is equivalent to denying that any tr,: has the power to prevent it; and this persuasion is really the only or at least the chief objection which people entertain to the attempt to constra what is called a science of history. Attention, however, shows (as the Archbishop of Dublin long since pointed out) that this is an entire mistake, and that physical science proves it to be one. No one ever affirmed that human actions could be predicted with any greater certainty than that with which we predict that the sun will rise to-morrow; but what is the strict meaning of that assertion—in what sense is it certain that the sun will rise? The expression meant no more than this—that we have no doubt about it, and that we have reason to believe that any one who applies his mind to the subject will have as little doubt. The notion, that there is some abstract necessity, some overruling fate, some specific agent, called a force, by which the planets are moved in their orbits, is an irrational superstition. Certainty is an attribute of mind, and the assertion that something is certain in the abstract means only that the person making the assertion does not specify the mind with reference to which he makes it. The nature of the grounds on which we are certain that the sun will rise to-morrow, proves this beyond all doubt. Those grounds are, that there is strong evidence, in infinite abundance, to show that the motions of all heavy bodies may be predicted by the application of certain rules; that there is no evidence to show that this state of things has ever varied at any period as to which we have any information; and that if those rules apply for a few hours longer, the phenomenon of sunrise will present itself. As a matter of fact, such evidence would satisfy every mind with which we are acquainted as soon as it was apprehended. Why it should do so we cannot tell. It is for the present an ultimate fact beyond which we cannot go. Reasonable, however, and, indeed, inevitable as such a conclusion is, it is quite possible that it may be false in fact, and that possibility cannot be refuted, otherwise than by the occurrence of the event. It may be that the rules which we have devised are not the only ones which are necessary, in order to predict the motions of the heavenly bodies with perfect accuracy for ever. Indeed, it is almost certain that there are others which are now and will, perhaps, remain always unknown to man, which would be necessary for that purpose. Such rules might, if known to us, enable us to predict that on one particular day, out of many billions, the sun would not rise, just as we are at present able to predict that on one day, out of several thousands, its light will be interrupted by the moon. It may be that these rules will hold good only for a time, and that, at a given moment, the human race may suddenly find itself sprawling in the dark—destitute of all science, and ignorant of the means of getting any. Yet, up to the moment of the occurrence of such a catastrophe, our certainty of the permanence of the present state of things would be just as complete and quite as reasonable as it is at the present moment. Hence science can claim no other certainty than one which is at once negative and hypothetical. It treats that which does not appear as if it did not exist, and it invariably assumes the adequacy and permanence of the rules which it applies. With the possibility that these rules may be transitory or inadequate guides to truth, it does not concern itself. The limited and conditional nature of the certainty which science can claim to establish, in reference to material objects, is the true, and is a sufficient answer to the fears which the attempt to establish a science of history inspires. If the sciences, which are acknowledged to be such in the strictest sense of the word, disclose to us neither nature bound in fate, nor objects governed by irresistible laws, nor a set of agents yielding obedience to irresistible impulses, nor a fatal necessity having a realm which constantly threatens to enclose us, why should we fear its application to human affairs? If, for anything that science teaches to the contrary, the heavenly bodies may be rational beings, moving in their orbits from their own choice, can it be said that the attempt to discover general rules, by the help of which limited and conditional predictions respecting human conduct may be made, involves any danger to morality? Such a question ought not to be discussed without a more explicit acknowledgment of its importance than most of those who believe in the possibility of constructing a science of history think fit to make. It is impossible to read their writings without a constant revolt against the harsh indifference with which they treat the common sentiments of mankind, and the eagerness with which they adopt, on every occasion, forms of speech of which it is difficult to say whether they are most remarkable for inaccuracy or offensiveness. It may be possible to establish the consistency of what is true in their opinions with those great moral doctrines which give to life all its value and dignity, but this can be done only by a process too intricate to be performed by persons who have not made a special study of the question. The broad obvious inference which most of their writings suggest, and which a vast majority of their readers would draw, is, that man deserves neither praise nor blame for his conduct; that he has no power over his own actions; that he is a helpless puppet who ought to be contemplated not as an individual at all, but (to use Mr. Goldwin Smith's expressions) as a link in a chain, or a grain in a mass; and that the only objects which can enlist the sympathies of persons enlightened enough to admit their own insignificance art vague abstractions, called by such names as progress and civilization. It is very seldom that any attempt is made by the writers referred to, to disconnect such conclusions from the premisses which they lay down. They usually write as if they felt that come what would of morality and all that is connected with it, the one thing needful for all mankind was to sit at their feet and accept their doctrines. The offensiveness of such conduct, to say nothing of its arrogance, cannot be exaggerated. If this were really the conclusion to which science leads us it would be fatal to the existence of science itself; for ir would destroy any interest which a man of spirit could feel in it. Such a man, on discovering that conscience, honour, and moral responsibility were mere phantoms, would probably spend the last relies of personality and free-will in expressing his contempt for the inanimate universe of which he formed an inanimate morsel, and in resolving that the eternal laws which had taken the trouble to make the world should have the satisfaction of managing and mending it without his assistance. Such considerations as these make it doubly important to clear up, it possible, the confusion with which the question has been surround to show that whatever may be the fears and hopes of the disputants, and whatever may be the inferences which their language would bear, and which they may wish it to bear, the interests of morality are, in reality, altogether unaffected by the debate. It is necessary to point this out, in order to guard against the impression that the following observations are biassed by any leaning towards the consequences which those who maintain the arguments against which they are directed, are anxious to avert. The argument of those who, with the avowed object of protecting the interests of morality, deny the possibility of constructing a science of history, may be thus stated:—They say, where there is no regularity there can be no science; but where there is no irregularity there can be no freedom, and where there is no freedom there can be no morality. In so far, therefore, as freedom implies irregularity in the conduct of free agents, it excludes the possibility of science. Now every man is conscious that he is a free agent; and the proposition that men are free, means that before they act they have it in their power to act in either of two or more ways; but if they have and use this power it must be impossible beforehand to predict the manner in which they will use it; therefore history cannot be formed into a science, because if it were it would enable us to predict human actions. Many of the propositions of which this argument is composed are undeniably true. No one has ever succeeded in persuading people to doubt either that freedom is essential to morality, or that men are conscious of being free agents in the sense stated. Nor is it more doubtful, that as the object of science is the classification of phenomena, science must end where irregularity begins; that is, where the facts with which it deals come to be no longer susceptible of classification; but it is by no means true that where there is no irregularity there can be no freedom, or that if men have and use the power, before they act, of acting in either of several ways, it must be impossible beforehand to predict the manner in which they will use it. There is no contradiction in terms between regularity and freedom. If a man is perfectly free to get up every morning at six o'clock or not, he is as free to get up regularly as to get up irregularly at that hour, and, indeed, his doing so invariably would usually be accepted as evidence of great strength of resolution. The opposition, if any, must be inferred from experience, and the attempt to treat history as a science is nothing but an appeal to this test, and is perfectly consistent (though those who make it do not seem to think so) with the most explicit recognition of the fact that men are not misled by the universal testimony of their own consciousness in supposing themselves to have the power of choosing between different courses of conduct. The nature of scientific certainty in reference to physical studies has been already referred to, and it has been shown to denote nothing more than the fact that evidence has been collected in reference to certain subjects sufficient to remove from the minds of those who study it all doubt as to the conclusions to which it points. If, therefore, instances can be given in which any one acquainted with all the facts of the case would be quite sure as to the course which a man, admitted to be free, would take, it will follow that scientific certainty as to the course of human action is not inconsistent with its freedom. Such instances are endless. A man is deeply in love with a woman, who returns his affection. They are engaged to be married; no opposition is made to the marriage; every circumstance is favourable to it. The service has actually begun, and the clergyman says, "Wilt thou take this woman to be thy wedded wife?" No doubt the man is perfectly free to say No, and has it in his power to do so; but does any human being doubt that if he has no reason whatever for drawing back, and the most ardent desire to go on, he will, if he lives, and if no physical impediment intervenes, say Yes? The certainty is precisely the same in kind, and nearly the same in degree, as the certainty that the sun will rise tomorrow. It is founded on the expectation, produced by an infinite quantity of experience, that when a man has the power of doing what he earnestly wishes to do, and has no reason to refrain, and is not prevented from doing it, he will do it. This is an unequivocal instance of predicting the act of a free agent, his freedom being the very ground of the confidence with which the prediction is made; and this power of prediction is all that is required in order to render possible a science of history. Of course the case taken is simple in the extreme; but the simplicity of the case affects nothing but the ease with which the operation of prediction may be performed. If a highly complicated case be taken, the result will be exactly the same, though the difficulty of arriving at it will, of course, be greatly increased. When Shakespeare was writing the Tempest, could it have been predicted what words he would write down next after "Like the baseless fabric of this vision?" The specific prediction could not, of course, have been made by any human creature; but if any one had been able to watch the thoughts suggested to Shakespeare's mind, and to appreciate the various half-conscious reasonings which led him to pass judgment on them as they rose before him, and had thus followed the train of association, whatever it may have been, which preceded the composition of "leaves not a wrack behind," he would have had no difficulty in predicting the act of will by virtue of which it was written down, although the poet would have been perfectly conscious, and rightly conscious, of his power to write or not to write as he pleased. The phrase itself proves this assertion—if we know how a man pleases, we can infallibly predict how he will act, because he is free to act as he pleases. Apart from this general evidence, it ought to be noticed that it is absolutely impossible to prove that any act is altogether irregular, that is to say, that it is so unlike all other acts that no formula can ever be devised which will enable others to view it as one of a series. If an event happened once in every ten thousand years, it would be regular in the same sense as if it happened every other minute; and how can it possibly be affirmed of any act whatever that no other act of the same sort will ever occur? If such an affirmation could be made, how would its truth affect the freedom of the act? The only evidence—and that evidence is conclusive—that an act is free, is the consciousness possessed by the agent before he performs it, that he has the power to perform it or not? How can that be affected by the circumstance that after the lapse of ten thousand years, some one else either will or will not be placed in the same or an analogous position? These considerations, put under various shapes, are familiar enough; but they are generally urged, and wrongly urged, as objections to freedom. They are supposed to prove that the alternative power of action which we are conscious of possessing is delusive. In reality they prove nothing of the sort. They show only that there is reason to believe that it is exercised in a regular and not in a capricious manner, and, as has been already observed, if people are free, they are as free to act regularly as to act irregularly, and the expectations of observers as to their acting in the one way or the other must, if they are reasonable, be regulated by experience alone. Historical science is nothing more than a collection of the results of observation systematically classified. In the first place, it is not every incident which is the subject of praise or blame, but actions only as distinguished from occurrences. The characteristic of actions is that the external and visible transaction is supposed to be preceded by the putting forth of an internal invisible energy like that of which every man is conscious when he acts, and for which we have no other name than an act of the will. Whenever we have grounds to believe that such an act of the will, coupled with an intelligent perception of its natural effects, has preceded any visible action, we praise or blame that action if it has any assignable connection with the production of happiness or misery, without any reference to the power which others may have of predicting what occurs. This is illustrated with remarkable completeness in the difference of the views which we take of occurrences in our own lives, in the lives of other men, in those of animals, and in the relations of inanimate matter. With regard to ourselves, praise and blame are unhesitating and complete. We have before us all the facts, and if we use our means of knowledge honestly we have usually no difficulty in saying whether our conduct had deserved praise or blame; but this depends entirely on the two questions whether the incident to be considered was an action or a mere occurrence, and whether if it was an action, it was one of which we knew the nature. As to the fact that there was or was not an act of the will, there can be no doubt, because we have before us the best evidence, namely, the direct testimony of our own consciousness. With regard to others, our judgment is less satisfactory, because our means of knowledge are much inferior; but the general similarity between the acts of different men is so strong that in all ordinary cases we have no hesitation in concluding that acts which would have been voluntary in us were voluntary in them. With regard to animals, there is a degree of difficulty which illustrates exactly the nature of the evidence which we require in order to praise or blame an action. We are by no means indifferent to the courage and fidelity of the dog, or to the cruelty of the cat, but it would be an abuse of terms to say that we thoroughly praise or blame them. If praise or blame depended on the contingency or irregularity of actions, it would be difficult to say that they were not as appropriate to the dog who defends his master, or to the cat who tortures a mouse, as to men or women. It is at least as difficult for any one to foretell what exact amount of danger or pain will drive away a mastiff from a robber as it would be to make a similar prophecy about his owner; but if the question depends on the existence of an act of the will, coupled with an intelligent perception of the facts, the hesitating, qualified character of the sentiments which the conduct of a dog or an elephant excites is easily explained by the incomplete, unsatisfactory nature of the evidence which we have as to the mental operations of animals. Their conduct shows some but not all the traces of will which we find in human action, and some but not all the signs of intelligence. Hence, our praise and blame of their conduct is given sub modo, and not unreservedly. Inanimate matter presents the converse case to that of the conduct of other men. We have absolutely no grounds for attributing to material objects any power of action at all. We know nothing about them except the occurrences which present themselves, and accordingly we neither praise nor blame any material object whatever. It may, no doubt, be said that this is because we can foretell with accuracy the various incidents which will occur to matter, and this, as has beer. already observed, is the great argument of those who deny the possibility of predicting human actions because they think it essential to morality to do so. Such persons, however, should recollect that it is by no means true that we can always foretell the various motions of matter, and it is certain that millions of persons who never think of making it the subject of either praise or blame are altogether ignorant that its movements can be foretold. No one blames dice or packs of cards, yet the combinations which they present are all but universally looked upon as the typical illustrations of uncertainty. No one ever thought of claiming for human conduct a greater degree of irregularity than belongs to cards or dice. No theory demands that it must be considered to be more uncertain which of several courses a man will take than it is whether one or the other of the twenty-one possible combinations will be presented on throwing the dice, yet no one ever attributed free-will to them. The result is, that the condition which must be fulfilled before any incident can be praised or blamed is, that it should be an action, and not merely an occurrence. The quantity of praise or blame to be given to an action depends almost entirely upon the question whether it is done willingly or under compulsion. There is a common, though inaccurate, notion that the reason of this is, that compulsion forcibly deprives conduct of its irregularity, which would otherwise be irregular, and so enables it to be predicted, and deprives it of its moral character; but upon closer examination into the meaning of compulsion, this will be found not to be the case. The only safe guide in such inquiries is the common use of language, for by the words which they use when they are acting and not speculating, men record their impressions of what passes in their own minds with a completeness and truth which is rarely attainable when they consciously sit down to perform that task, usually for the purpose of supporting preconceived opinions. Applying this principle, it will be found that the words "voluntary" and "compulsory" are not formal opposites. The one does not affirm what the other denies. "Voluntary" is properly opposed to "involuntary," and an involuntary action is in strictness of speech not an action at all. A man who throws about his limbs in a convulsive fit is a patient, and not an agent; and it would be an abuse of language to say that he moved them under compulsion. The muscles contract independently of his will, and he no more deserves praise or blame for the consequences produced by their contraction than a bullet deserves praise or blame for killing a man. On the other hand, it would, both in common language and even in law, be perfectly correct to speak of a person being compelled by threats or by torture to give up his property. Thus compulsion does not supersede the action of the will, but is collateral to it; and it will be found on examination to imply that some motive is applied to the person who is the subject of it sufficiently strong and painful to induce him voluntarily to do something which he dislikes, or forego something which he likes. The formal opposite of compulsion is willingness. Where a man does an act willingly, he deserves the fall praise or blame which belongs to acts of that class. Where he does it under compulsion, the praise or blame is greatly diminished. If, for example, a man unwillingly tells a lie to save his life, no one would blame him, or, at least, they would blame him for nothing worse than having fallen short of a heroic standard of virtue; but if he told it willingly, even under the very same circumstances, the case would be different. It would be said that, though the lie itself might have been excused, the willingness to tell it showed that he was a liar by nature, and deserved to be looked upon as such. Neither compulsion nor willingness affects the question of the regularity of conduct. Their presence affects only the difficulty of predicting its direction, which it may either diminish or increase. Of some men it might be predicted that they would lie to any extent, under no greater compulsion than that of a risk of losing £5 by speaking the truth. Others would, perhaps, equivocate if the risk was £500 or £5,000, and others would sooner die than lie at all. Those who knew a man well would have little difficulty in saying to which of these classes he belonged, and of predicting his conduct accordingly. The result is, that we praise and blame voluntary actions, and that the praise and blame are increased if the actions are willing and diminished if they are compulsory, and that we do so irrespectively of their being regular or irregular. This, however, ascertains only the sort of actions, to which, and the rule by which, we distribute praise and blame. It leaves untouched the ultimate reason why we praise or blame at all. Why, for instance, do we blame a man who willingly commits a cruel murder? This question is precisely analogous to hundreds of others, which it is equally impossible to answer. Why do we feel any sympathy with, or interest in, others, or even in ourselves? Why do we hate or love? Why do we see an object when our eyes are wide open and it is straight in front of them? We can only say that human nature is constituted so, and not otherwise; and that when we are once made aware of a thoroughly wicked action willingly done by the agent, we blame it, just as we shrink from pain or welcome pleasure. In different times and countries, different classes of actions may produce this feeling; but, so far as we know, there is not, and never was, any human society in which the feeling is not produced by some forms of conduct or other. Viewed in this light, praise and blame may well be awarded to actions, independently of the question whether they can or cannot be predicted—a question which experience only can decide. This conclusion may be strengthened by considerations of a more familiar kind. Notwithstanding the importance which many persons attach to the essential irregularity of human conduct, there are no parts of it on which it is so difficult to pass any sort of moral judgment as those which ought, if irregularity is essential to their existence, to be the strongest proofs of the existence of freedom and morality. There are actions which are entirely arbitrary and capricious, for which no cause whatever can be assigned. According to the views of the antagonists of historical science, such acts ought to be considered as assertions of the most glorious and characteristic prerogatives of human nature, but this is not the way in which they are regarded in fact. Men who habitually assert these prerogatives, and whose conduct under given circumstances it is practically as well as theoretically impossible to predict, are to be found in thousands at Hanwell and Colney Hatch, but they are considered not as the freest and wisest of their race, but as the victims of the most grievous of all diseases. Of all characters, that of a capricious man is the one with which it is most difficult to deal. To say of a person, "You never can tell how he'll take a thing," is anything but a recommendation of him. On the other hand, it is a common thing to praise a person for being rational and consistent in his behaviour. What do these words imply? Certainly not less than this, that the regularity of a man's conduct, and therefore the ease with which its course may be predicted, is in direct proportion to his wisdom. The general conclusion seems to be that we regulate our own actions by the free exertion of a power which is an ultimate fact in our nature like the power of sight or touch; that as far as we can judge, we exert this free power in a regular manner, so that if any one knew the exact state of the mind and the exact limits of the powers of others immediately before they acted, he could foretell the direction in which they would act; that according to the direction in which this power is exerted, our actions are good or bad, and we deserve praise or blame; and that this praise or blame is awarded, not because of any contingency about actions before they are performed, but because, by the constitution of our nature we praise actions which we consider good, and blame those which we consider bad; and that the amount of praise or blame awarded depends mainly on the degree in which the actions are done willingly or under compulsion. It may tend to set these conclusions more clearly before the imagination of some persons, if it is assumed that a supposition, already referred to more than once, were proved to be true. Suppose that it were shown that, in point of fact, the different members of the solar system were, as some of the ancients supposed, living creatures. Suppose we knew that it was a distinct effort to the sun to shine, and to the planets to revolve; that they had temptations to rest, and were aware of the importance of not giving way to them. Is there any one astronomical proposition which would become less true than it is at present? Would anything else result than that we should superinduce upon the feeling of interest and satisfaction with which we look at present on the solar system, a feeling of moral sympathy and admiration for the bodies which compose it? Or, to put the converse case, let us suppose that the sun and moon, being constituted upon principles altogether different from ours, nevertheless shared with us the power of observation and calculation, and subjected ourselves to an examination like that to which we subject them. Suppose that, looking down upon the earth, not metaphorically but really, they were to watch the different motions of men, and try to devise formulas by which they might predict them. Are we able to say that the undertaking would be hopeless, or that it would be more difficult to frame some general rules by the aid of which they might arrive at conclusions respecting our conduct, than it was for us to frame a rule which should apply equally to the motion of a grain of dust and that of a sun? If they were altogether ignorant of our wants and objects—if our gestures and voices were unmeaning, and our passions unknown to them —might not they calculate our motions with the same precision which we apply to them, and look on us as mere brute inanimate matter, because they knew nothing of our emotions? They might in this way construct a science of our motions, and it might be a perfectly true one; but they would be much mistaken if they drew from that fact the inference that we were the mere slaves of a blind destiny. If our freedom and moral responsibility would be unaffected by such a calculation, they cannot be more affected by it if it proceeds from ourselves. They stand on their own basis, and the fear that a science of history, if it is ever constructed, will overthrow them, is just as reasonable as the fear that a good nautical almanac will enslave the stars and the tides. The speculative and abstract view of the question comprises only one division of it. What the science of history, if it ever exists, will be like, is a question of great interest, the impartial consideration of which would do much to dispel the alarm with which the possibility of its existence is regarded. Much light is also thrown on the question by the general character of political economy and statistics, the only subjects relating to human conduct which have as yet been thrown into a scientific shape. These points will be considered in a future number. In an Article published in this Magazine last month, an attempt was made to show on general grounds the groundlessness of the fears entertained by many persons that morality might be injured if a science of history were constructed. Such speculations must always wear a somewhat abstract character, however solid the inferences drawn from them may be. The conclusions to which they point are strikingly confirmed, and may, perhaps, be more easily accepted when the subject is set in another light. If we wish to see what would be the relation of a science of history to morality, we are not confined to speculation on the subject. Two branches of knowledge relating to human action have been thrown into what may not improperly be called a scientific shape, so that their result on the freedom and morality of the classes of actions to which they relate can be tested by direct observation; and though the study of history cannot be said as yet to have been reduced to the shape of a science, sufficient progress towards such a result has been already made to enable us to form an accurate judgment as to the shape which the future science, if it is ever constructed, may be expected to assume, and the degree of influence which it will exercise. The alarm excited on the subject is, no doubt, due principally to the general want of distinct notions which prevails even amongst educated people as to the nature and limits of scientific certainty. An attempt was made in the former article to show that, even in the case of the most exact sciences, this certainty is both negative and hypothetical: negative, in leaving out of consideration whatever is not proved to exist; hypothetical, amongst other things, as to the permanence of the conclusions at which it arrives. In applied mathematics, these limitations are not sensibly felt. The scale of the operations to which they relate is so vast, and the principles which they establish are so plain and wide, that they impress the imagination with a notion in reality altogether unfounded, that they form collectively an exhaustive system of eternal unqualified truth. In reality, we never can be sure that our knowledge even on these points is complete, and still less that the truths which we have reached are permanent. All that we can say is, that for all practical purposes we must neglect the possibility that our knowledge is limited, or that its discoveries are transient, because we have no evidence to the contrary. When, however, scientific processes are applied to more complicated subjects, the real nature of scientific certainty makes itself felt; and the fact that science is not a self-existing, overruling power, but a mere classification devised to enable the minds which conceive it to understand the phenomena to which it applies, assumes greater prominence. This is especially the case in the only branches of knowledge relating to human actions which can be called sciences even by courtesy. The form which they always assume may be thus expressed: "If men wish for such and such objects, they must act in such and such a manner." "If society is constituted upon such and such principles, individuals or associations will have such and such powers." Whether men will have such wishes, with what degree of energy they will try to attain them, whether or no it will be wise for them to try to attain them at the expense of particular consequences, and the like, are separate questions, which must be separately considered if anything like system and clearness is to be aimed at in the study of human affairs. It is this necessity for dividing subjects into their different branches which gives scientific inquiries their specific character, and which makes their adaptation to human affairs unpopular. People in general are so little accustomed to think over their conduct in an exhaustive manner that when they see a subject treated exclusively on one principle before any other is applied to it, they are almost always led to believe that those who do so mean to deny that it ought to be considered with reference to any other. Nothing, for example, is so common as to hear political economists charged with coldness and selfishness, and casuists or lawyers with immorality; charges which are usually as well and as ill founded as the charge that the officers of the Census, who only count the number of the people, are indifferent to every other consideration about them except their number. Of the studies in question, statistics is undoubtedly the simplest, and is also the most impressive, to ordinary observers. Few things can affect the imagination more powerfully than to be told that there is a science by which men are enabled to predict within exceedingly narrow limits how many persons will misdirect their letters on a given day; how many errors an honest clerk will make in a complicated account; how many murders will be committed in the course of the year, and what proportion of the murderers will use poison, daggers, or fire-arms. Illustrations of the strange results which statistical inquiry produces are so numerous and so well known, that it is needless to detail them. The really important thing is to ascertain what the power of making such predictions proves as to the freedom and morality of human conduct. Reasons were given in our last month's article for the opinion that regularity and freedom of action were so far from being inconsistent, that there is ground to believe that all conduct is regular, and might be predicted by an omniscient observer, though there is conclusive evidence of the fact that all human actions properly so called are not only voluntary, but also free. Statistics, when closely examined, will be found not to prove, though of course they are consistent with, even this abstract regularity— the possibility, that is, that an omniscient observer might predict every act of every individual. They are the science not of omniscient, but of ignorant and limited observers; and they are based, though it may appear paradoxical to say so, on the hypothesis that it is impossible for those who collect them to predict how any individual will act under given circumstances. They calculate the general result of human actions as if each action, separately considered, were incapable of being predicted; and if it were incapable of being predicted even by omniscience, that is, if human action were free even in that false sense of the word which makes irregularity essential to freedom, statistics would be just as true as they are now. In asserting the freedom of human conduct, no one ever meant more than this—that if circumstances present an alternative to a man, he has it in his power to choose either branch of it, and that he himself determines which branch he will choose ; for example, if he is at a place where four roads meet, he can take either of them, or stand still where he is. Suppose, then, that a number of men were absolutely free to choose either of two balls out of a bag, but were obliged to take one of them. They might take either, and an observer who knew nothing whatever of what was passing in their minds would say that it was an even chance which of the two each man would take; in other words, that his (the observer's) mind had no reason to suppose that he would take one rather than the other. If, however, he observed them making their choice on ten thousand successive occasions, and found that on nine thousand occasions the black, and on one thousand the white, ball was chosen, any one would lay or take nine to one that the black ball would be chosen on any given occasion. Yet, by the supposition each man is free to take which he pleases, and it is impossible for any one, even if omniscient, to foretell which he will take. This simple illustration contains the essential principle of all statistics. However complicated they may be, and however great may be the confidence with which their conclusions are relied on, they prove nothing whatever as to the causes of human action. They are simply a numerical expression of the state of the observer's expectations. Two familiar cases illustrate this to perfection—betting on a race, and speculating for arise or fall on the Stock Exchange. A horse's chance of winning the Derby is not improved in the least degree by his becoming the favourite. He becomes the favourite because his backers think his chance is improved. War or revolution are not more imminent because capitalists speculate for a fall. They speculate for a fall because they believe war or revolution to be imminent. It is the neglect of these simple truths which leads so many persons to substitute the effect for the cause, and to suppose that science proves that both nature and man are enslaved. There is, however, another and a more subtle way of advancing the same doctrine which requires examination. It is said, it is true, that statistical calculations are in themselves nothing more than a numerical expression of the state of expectation in the mind which devises them; but the correspondence, found by experience to exist between human actions and the predictions of statistics, proves something more. It proves that the same causes in human affairs always produce the same effects, and thus that a regular succession of cause and effect prevails in regard to human conduct as well as in regard to material objects. Taking particular illustrations, they would say, you throw a die, and say it is five to one that it will not come up a six. You predict that, if you were to throw it 600 times, six would come up about 100 times. If you make the experiment you will find that this prediction is roughly true, and the greater the number of cases to which the test is applied, the less will be the divergence between the result and the calculation. This experience is entirely independent of the calculation, and its soundness is proved by the experience of gaming-houses and insurance offices. Fair play being presumed, and there being no reason to suppose that any one combination of the cards will present itself rather than any other, the chances are about forty-one to forty in favour of the keeper of the rouge-et-noir table against the players. This is, no doubt, nothing more than a numerical expression of the ignorance of arithmeticians. Experience, however, shows that the keeper of a rouge-et-noir table makes his fortune in about the time in which, arithmetically speaking, he ought to make it; and does not this experience (it is urged) prove that the assumption of the calculator is true—namely, that the causes which determine the victory of red, black, or the table, recur with the amount of regularity which, for the purposes of his calculation, he assigned to them? In a word, is not the assumption that there is an invariable connection between cause and effect, the ground of the whole calculation, and does not the correspondence between the calculation and the actual result prove the truth of the ground on which the calculation proceeds? If this is true (the argument proceeds) with regard to inanimate things, like cards or dice, why is it false as regards human beings? Does not the correspondence of the actual with the calculated number of murderers prove that the same causes produce the same effects in human life, as the correspondence of the actual with the calculated number of winnings at hazard or rouge-et-noir proves the same with regard to dice and cards? No one who considers the matter impartially can deny the soundness of the first part of this argument. No doubt the calculation is one thing, and the correspondence between the calculation and the facts another; and it must be admitted that, whatever statistics prove with reference to inanimate objects, they prove with reference to human actions. For example, the proportion of letters misdirected to letters sent is just about as capable of being predicted as the proportion of cases in which dice or cards will present particular results. What, then, does the correspondence between the calculation and the result prove in reference to the dice? Whatever else it proves, it has no tendency to prove anything hostile to freedom; for causation means no more than uniform precedence and sequence, and is proved by experience. Freedom means possession of the power of alternative action, and is proved by consciousness. An action, therefore, may be at once the subject of causation and perfectly free. A man blows his nose because he has certain sensations in that organ; but the causes, positive and negative, of his act, namely, the presence of a pocket-handkerchief, his hand being disengaged, the absence of reasons to the contrary, &c, do not in any way interfere with his perfect freedom. He has the power to do it or not, and he does it. The argument, however, does not prove that human actions are caused. It proves only the soundness of the assumption on which statistical or arithmetical calculation rests. This assumption is that, where an observer is certain that one of a certain number of events will happen, and has no reason to believe that any one of them will happen rather than any other, he is entitled to affix to his expectation that any one of them will happen a numerical value equal to the proportion between the favourable and unfavourable cases. He may say, that is, that if he knows nothing whatever of a die, except that it is an exact cube, it would be prudent to lay five to one against any particular number presenting itself. Antecedently to experience this would be a mere conjecture—obvious and natural, no doubt, but still altogether uncertified, and all that experience does is to confirm and warrant it. In much the same way most people would probably guess, independently of experience, that much the same number of people would misdirect their letters in one year as in another. Experience shows that this guess is right, but it shows absolutely nothing more. It does not prove, or tend to prove, the invariable connection between cause and effect. It merely registers the effects, leaving the causes on one side. If men had no -other grounds for believing in the connection of cause and effect than those which they get from statistics, they would never arrive at such a belief at all; for the characteristic of statistics is that they are concerned with effects exclusively. Whether a letter is misdirected through perversity, carelessness, or ignorance, is nothing to the statistician. It is not even essential to his conclusions that given a man of a certain temperament, in a certain frame of mind, a misdirected letter may infallibly be expected. All that he says is, so many letters will be misdirected in such a time. His investigations have no tendency to prove that any combination of circumstances deprives any class of persons of the power of directing their letters as they choose; and they, therefore, prove nothing to the purpose of those who wish to derive from statistics conclusions inconsistent with the freedom of human conduct even if conduct which is caused were not free, which is not the case. That statistics have nothing to do with causation is proved by an examination of the extent of the coincidence between calculation and experience. The experience justifies nothing more than an average expectation. It is the grossest, as it is one of the commonest of errors, to suppose that it justifies a specific one. At any gaming-table people may be seen with cards and pins, marking down the results of successive deals of the cards, and they are almost always under the delusion that, if there has been, as they say, a run upon the black or the red, that fact supplies a reason for laying either for or against the colour so favoured. If the calculation about the odds proceeded upon any theory as to the reasons why particular combinations of cards present themselves, there would be some excuse for this proceeding; but as the calculation is no more than a numerical expression for the degree of ignorance in which the observer is placed, the process is a mere absurdity; for the old problem is re-stuted in precisely the same terms at each successive deal, and the chance (that is, the proportion of the number of possible favourable cases to possible unfavourable cases) is always exactly the same. The fears which statistics excite as to the possible consequences to morality of the establishment of a science of history can hardly be felt by any one who is but to some extent accustomed to abstract speculation. Political economy stands on a different footing, and, at first sight, presents much more the appearance of a system of laws in the proper sense of the word—namely, rules coercing the conduct of individuals by the infliction of penalties. No one, for example, can have followed the discussions which have lately been so frequent about strikes, without seeing how deeply this view of the subject has affected many minds. Closer examination, however, proves the fallacy of this. The fundamental hypothesis upon which all political economy proceeds is, that men have an unqualified dominion over their own property, and it shows what are the powers which, under various circumstances, are conferred by this unqualified dominion. The workman can withhold his skill and labour; the employer can let his capital lie idle. Political economy shows what will happen if either chooses to use the powers he possesses; but this is all that it shows. It leaves every one free to use his powers exactly as he thinks fit. It is just like the case of law proper. A man holds another person's acceptance. The law tells him that he can sue upon it in such a manner, and that, having recovered judgment, he can take his debtor's body, goods, or land in execution for the debt and costs; but, as to the propriety of doing so, it gives him absolutely no advice at all. It would be a contradiction in terms to assert that the powers thus conferred by the law in any way restrained the freedom of the person who receives them. On the contrary, they actually create the power in the use of which that freedom consists. It is nearly the same with political economy. It does not, indeed, create any powers at all; but it ascertains their nature and extent, and acquaints people with their existence. It gives men a view of the relations in which they are placed, in regard to all matters of trade and the like, by the operation of the institution of private property protected by law; but it does not even affect to give a complete theory of human life, and it is as absurd to suppose that it puts any compulsion on men's acts, as to suppose that medical science deprives men of their freedom because a doctor tells a man that a particular diet will injure his health. There are, no doubt, several classes of actions which are usually said to be "governed by economical laws," and which recur with a degree of regularity which forcibly affects the imagination of many observers, and may lead them to believe that the agents who perform them are submitting to some overruling decree. Such are the rise and fall of prices, the fluctuations of stocks and shares, rates of exchange, and other matters of the same kind ; but all these cases may be explained on the principle stated in the preceding article, that it is a question of experience whether free conduct is regular or not, and that experience shows that when a man has an opportunity of doing what he is anxious to do he will do it. Now, a man who is going to buy or sell, especially if he is going to buy or sell something which has no individual character, as, for example, a thousand pounds' worth of stock, a cargo of oil or linseed (which he probably sells again without ever seeing it), or a bill on Paris or Amsterdam, has no other object in view but his own profit; and an observer may, therefore, predict with absolute confidence that he will give the lowest and get the highest price for what he wants to buy or has to sell that he possibly can. That is to say, every party to every one of the transactions which collectively make up a fluctuation in prices will use all the powers he has for his own money benefit. As these powers depend upon circumstances which may be ascertained to a great extent beforehand, the aggregate result of exerting them may be predicted with considerable accuracy. This, however, is not because the persons concerned are not free, but because they are free and use their freedom for their own advantage. If, then, morality and freedom are rather assisted than injured by statistics and political economy, why should they be injured by a science of history, supposing such a science were ever formed? The arguments already advanced show that the apprehension is idle, but such apprehensions arise rather from the imagination and from detached and partial views of particular consequences supposed to be involved in the establishment of such a science than from rational conviction. It may, therefore, be desirable to inquire shortly what a science of history would be like if such a science should ever exist? In the first place it may be confidently asserted that such a science, when it had attained an authentic form and a recognized position, would be free from the offensive and pedantic phrases by which those who expect do so much to retard its advent. We should hear less than at present of statical and dynamical sociology, the metaphysical stage of thought, the eternal laws which govern human conduct, and other phrases which, generally speaking, are either barbarous adaptations of bad French or incorrect mathematical metaphors. We should not be asked to believe that every crotchet which tickled the insane vanity of a conceited Frenchman was an eternal and self-evident truth, as, for example, that it is an everlasting law of nature that there either is, must, or ought to be, a thing called the Western European Republic, of which the French are the natural presidents. We should not see historians like Mr. Grote and Dean Milman blamed for writing like scholars and men of the world, instead of adopting an unbaptized jargon which excites sympathy for the cynical critic who summed up his impressions of a well-known book in the observation that he never heard of an eternal truth without thinking of an infernal lie. If the science of history were like any other science, and especially any science relating to human affairs, it would consist of a set of maxims lying at such a distance from practical life that their relation to it would hardly be felt. Whoever wishes to realize this, should try to connect in his own mind the rule which lies at the bottom of all mechanics—that the force of gravity varies inversely as the square of the distance—with the different facts which it enables us to explain, the flight of a bullet, the fall of a drop of rain, the effects produced by muscular efforts, and a thousand other matters which to ordinary observation have nothing whatever to do with it. Historical science would, in the same way, have no assignable relation to any particular state of facts. It would form a mere skeleton, giving nothing but hypothetical conclusions, and always leaving unclassified a vast mass of circumstances which the historical philosopher would be able to consider in no other light than that of disturbing causes. This is completely illustrated by the case of political economy. Its statements are perfectly true as far as they go, but they go only thus far: "If all men pursue their own money interests to the utmost in a particular case, and if the law protects them from external interference in doing so, such and such results will follow; for the powers implied by absolute dominion over private property are so and so, and by the supposition they will be exerted to the utmost." Now these suppositions are never quite true in fact. They are often very far from the truth; and when that happens, the facts do not correspond with the calculation, though the calculation is still of great use, because it enables observers to measure, and so to commence the explanation of the disagreement. A good instance of this is supplied by the well-known theory of rent invented by Ricardo. "Rent," he said, "is that portion of the produce of the earth which is paid to the landlord for the use of the original and indestructible powers of the soil." That is, it is the consideration paid to the landlord by the tenant for leave to cultivate any land which is more fertile than that which at a given time and place will return to the cultivator that amount of profit which he could obtain in other callings from the capital and labour which he invests in cultivation. The amount of rent will thus be equal to the difference between the value of the yield of the land rented and that of the land just worth cultivating. This theory is perfectly true, and would coincide with facts if a country could be found where the taking and letting of land was determined exclusively by mercantile considerations, and where landlords and tenants alike were fully aware of their powers, and thoroughly determined to exert them for their own interest, and if payment for the use of the powers of the soil, payment for the use of fixed capital annexed to it, and payment for various other matters which are usually included under the single name of rent, were separately made. In practice, this is not so. Rent means, according to the common use of words, whatever the tenant pays to the landlord, and includes in practice payment for many other things besides the powers of the soil. The amount of this gross payment is affected by the special circumstances of every different country. In England land is constantly underlet for the sake of maintaining local connection and political influence. In Ireland the landlords were deterred from exercising their legal rights by the fear of assassination. In India, to say nothing of the ignorance of the people, the rent paid by the ryots is virtually tribute, and is not determined, perhaps it is but slightly affected, by commercial principles. All this, however, does not in the least degree diminish the value of the general rule. It always will supply one fixed point in the mass of shifting and apparently inconsistent facts connected with the subject, by the help of which they may gradually be classified and may always be compared. It would, for example, enable a tenant to appreciate the amount of the sacrifice which his landlord made in allowing him to have a farm at a cheap rate; it would inform the landlord what price he was paying for the votes of his tenant farmers; and it would be a most material assistance to the Indian Government in the whole course of their policy towards the village communities, as it would show them the relation between the value of a tribute rent and a commercial rent. This is precisely the sort of result which, if we ever get a science of history, we may expect to derive from it. The whole subject is at present in an inchoate state; and those who profess to know most about it, employ more energy in boasting of the great results which they are to achieve, than in taking steps to achieve them. Here and there, however, a few observations have been made which contain at any rate a sufficient amount of truth to show what sort of doctrine historical science would establish, and in what sort of relation it would stand to morality. Thus, for example, Mr. Merivale says, " The annals of the Roman people afford a conspicuous illustration of the natural laws which seem to control the rise and progress of nations. The almost uninterrupted succession of their triumphs, the enormous extent of the dominion they acquired, and the completeness of the cycle through which they passed from infancy to decay, combine to present them to us as the normal type of a conquering race. One principle seems to be established by their history. It is the condition of permanent dominion that the conquerors should absorb the conquered gradually into their own body, by extending, as circumstances arise, a share in their own exclusive privileges to the masses from whom they have torn their original independence." This is a fair specimen of the sort of doctrines of which a science of history would consist. How can it be said even to tend to fetter the freedom or to injure the morals of politicians? It simply gives a short general inference from a number of the most remarkable passages in the history of Rome. Mr. Merivale, verbally complying, no doubt, with the habit already commented on, has described this inference as "a natural law controlling the rise and progress of nations;" but he immediately afterwards speaks both more correctly and more naturally when he calls it a principle, showing the conditions under which permanent dominion is possible. It is obvious that, so far from being immoral, such principles may be of the greatest service to morality. In the management of Indian affairs, for example, it would be extremely desirable to bear in mind the principle laid down by Mr. Merivale. It would leave open every consideration which can now weigh with statesmen, and leave unimpaired every power which they at present possess. It would not force them to desire permanent dominion, or to attempt to associate the natives in the task of government, or to be on their guard against exclusiveness. It would contribute something towards the consistency of their policy, and would tend in some degree to indicate the objects towards which it might be directed; but all that could be done by any number of principles of the kind would be to carry these processes a few steps further. This is certainly not the impression which is conveyed by reading the books of those who, in the present day, proclaim most loudly the approach of the science of history; but this is only because they overstate their case. The "eternal laws" which they claim to have discovered appear, upon examination, to be no more than maxims generically similar to the one quoted from Mr. Merivale, but thrown into startling shapes, and, generally speaking, smothered in metaphors and rhetoric. The most famous of them is, perhaps, Comte's theory that human thought must of necessity pass through three stages—the theological, the metaphysical, and the positive; upon which last we are now just entering. This progress, it is further asserted, exists as well in individuals as in societies: in boyhood we are theologians, in youth metaphysicians, and positivists in maturity. It would be impossible in this place even to glance at the observations which occur upon every part of this theory, and especially upon the terms in which it is expressed; but passing over all these, and assuming that it contains (as no doubt it does) a considerable degree of truth, what sort of truth does it contain? It is neither more nor less than the assertion of a fact—an assertion which may be true or false, but which is nothing more than an assertion. There is considerable difficulty in understanding precisely what the second and third clauses of the assertion mean. What are the precise states of mind to which they refer; whether they—or, indeed, any of the three—are distinct from or inconsistent with each other; are questions on which much might be said. The first of the three, which is the simplest, is also the one which gives most offence. It is often treated as if it were equivalent to the assertion that religion is no more than a delusion fit for savages or children. It is unnecessary here to say anything of Comte's personal religious opinions; but, whatever they may have been, it is clear that his doctrine about the different stages of thought is altogether independent of any conclusion hostile to religion, and is perfectly consistent with any form whatever of religious belief. That children are very apt to personify everything they see is an unquestionable truth; that states of society have existed in many parts of the world in which grown-up men personified the powers of nature in a very similar manner, appears highly probable; but between these premisses and the conclusion in question, there is an enormous gulf. It is as impossible to draw inferences as to the truth of opinions from the order in which they succeed each other as to discover the distance from one o'clock to London Bridge. The supposed antagonism between Comte's theory and religion, thrown into an argumentative shape, comes to this: negroes on the Gold Coast worship an image made out of fish-bones; therefore, there is no God. It is true that an attempt is sometimes made, and often dreaded, to fill up the interval between the premiss and the conclusion by asserting that the belief in a God grew by a number of successive steps out of the belief in fetishes; but even if this could be done, it would make no sort of difference. The question, How did I come to think that A. B. committed murder? is one thing; the question, Did A. B. commit murder? is quite another; and the attempt to establish A. B. 's innocence by accounting for the impression of his guilt would be absurd, unless it were possible to go on to show that the impression itself was unreasonable. If it were possible to make out a catena of religious beliefs from the fetish-worshipper to the Christian, the question would still remain, whether all were under analogous delusions, or whether the fetish worshipper had been dimly groping after a truth which the Christian believed on reasonable grounds; and to the decision of this question the history of religious belief would have only an indirect and casual relation. Perhaps the most remarkable of the misunderstandings which prevail on the subject of the results of a science of history is that which relates to its bearing on individuals. Those who do not believe in the future science almost always rely mainly on the impossibility of predicting the character of particular men and the effects which they will produce on the fortunes of the human race. This is almost always answered by the assertion that individual character has little to do with history, that history has hitherto been written on a false assumption in this particular, and that one of the first results of the new science will be to reduce Alexander, Caesar, Mahomet, Luther, and Washington to their proper places, and to show that they were no more than the mouthpieces of their generation—men who expressed views and feelings which without them would have found equally able exponents. There is no one point in the whole controversy in which the new school of scientific historians trample on the feelings of mankind with such satisfaction as on this. Few things in their way are more irritating than the air of calm superiority with which they try to persuade their readers that misbegotten phrases about the western evolution (for modern history) are more important to mankind than the biographies contained in the four gospels. The most eminent professor of the science might have taught them a better lesson. His appreciation of his own importance to the human race must satisfy the widest demands of the opposite school. With a calm self-appreciation equally characteristic of his creed and his nation, Comte made himself the centre and incarnation of all philosophy. "Hume," he said, " is my principal precursor' in philosophy, but with Hume I connect Kant as an accessory." Bacon, Descartes and Leibnitz, Thomas Aquinas, Roger Bacon, and Dante "place me in direct subordination to the incomparable Aristotle;" but this heir of all the ages was not content even with this distinction. His triumph was not complete till he had fallen in love with another man's wife. "Through her" (Madame Clotilde de Vaux) " I have at length become for humanity in the strictest sense a twofold organ, as may any one who has reaped the full advantage of woman's influence. My career had been that of Aristotle, I should have wanted energy for that of St. Paul, but for her." The least positive philosopher would hardly assert more of any one person than that all preceding greatness led up to him, that he first " extracted sound philosophy from real science," and that by the help of a connection which Sir Cresswell Cresswell might have been bigoted enough to view with suspicion, notwithstanding its " perfect purity, which circumstances made exceptional," he "was enabled to found on the basis of that philosophy the universal religion." It can hardly be contended that if there had been no Comte, some one else would have done as well; for the most positive philosopher will hardly be bold enough to assert that two human beings could have been found capable of expressing such sentiments or inventing such a system. The individual follies of a single man and the faults of style of his admirers, however characteristic, are, of course, of no weight in a grave and complicated question, and there can be little doubt that the assertion on the one side and the denial on the other of the historical importance of individuals, is one of the most interesting parts of the whole discussion. The question how far individuals do in fact influence the course of history is one of fact, and can be decided only by reference to history itself. Self-evident as this may appear, it is frequently overlooked, for in the discussion of the subject nothing is more common than the assumption that what did happen must have happened, and that all the means necessary to its happening must have been forthcoming. It is often said, for example, that if Mahomet had never lived, some other Mahomet would have done his work-; but the only evidence given of this is that the work was so great that no one man can have done it. This is obviously no answer to the argument that as great things are in fact done by individuals, and as the conduct or existence of such individuals cannot be foretold, the effects which they produce cannot be foretold. It is, in fact, a petitio principii. The issue is, whether the establishment of Monometallism could have been predicted. The evidence that it could not is, that it was established by Mahomet, and that Mahomet could not have been predicted. The argument that it could is, in effect, that it was not established by Mahomet; because if there had been no Mahomet, there would have been some one else of the same kind, and the proof of this is that the effects produced by Mahometanism were certain to happen, i. e.could have been foretold, but this is the point at issue. The only legitimate arguments upon the subject are those which appeal directly to facts. It is perfectly fair to say, Mahomet did not make Mahometanism, for such and such circumstances, with which he had nothing to do, predisposed men's minds to that belief. Julius Caesar did not establish the Roman empire, for his assassination made very little difference in its establishment; Charlemagne's institutions were permanent in those cases only in which he appreciated the wants of the times; the French Revolution could not have been averted by any firmness on the part of Louis XVI. ; nor did Napoleon's dynasty depend on the issue of the battle of Waterloo. These and other assertions of the same sort admit of being discussed without the necessity of disproving the contingent possibility that other persons would have been forthcoming if those mentioned had never existed. The fair inference from most of these illustrations would seem to be that the importance of individuals, though capable of being overrated, is still immensely great. If Napoleon Bonaparte and Louis XVI. had changed places, there might still have been a French Revolution, but it would have been comparatively bloodless. No one can doubt for a moment that the Roman republic would have subsided into a military despotism if Julius Caesar had never lived; but is it at all clear that in that case Gaul would ever have formed a province of the empire? Might not Varus have lost his three legions on the banks of the Rhone? and might not that river have become the frontier instead of the Rhine? This might well have happened if Caesar and Crassus had changed provinces; and it is surely impossible to say that in such an event the venue (as lawyers say) of European civilization might not have been changed. The Norman conquest, in the same way, was as much the act of a single man as the writing of a newspaper article; and knowing, as we do, the history of that man and his family, we can retrospectively predict, with all but infallible certainty, that no other person could have accomplished the enterprise. If it had not been accomplished, is there any ground to suppose that either our history or our national character would have been what they are? It would thus appear that upon the question whether individuals produce great changes in history, and colour its whole complexion long after their death, those who disbelieve in the possibility of a science of history are right; but to infer from this that there never can be a science of history is altogether wrong. It proves, no doubt, that the professors of such a science will never be able to make specific predictions until they are able not only to predict how many children will be born, and what will be the natural capacity and advantages of each of them, but also to read the thoughts of individuals, and so to predict their actions and the consequences of those actions. But no sane man expects anything of the sort. If it were necessary to disprove the possibility of so wild a dream, it would be easy to do so. The facts of which a knowledge would be necessary for such investigations are transient, language is not competent to describe them, they leave no records behind, and the evidence as to their existence is to the last degree unsatisfactory. No one can give more than a guess at his own character or at the character of any other person. The word character is itself an incomplete metaphor taken from handwriting; and the evidence which establishes the proposition that a particular man is brave or energetic, or that he has a comprehensive understanding, is generally little more than conjectural, and is almost always consistent with a great variety of different, perhaps even of discordant, theories about him. Thus the only historical science of the future existence of which there is any sort of evidence is a science which will authorize, not absolute, but conditional predictions; and even those conditional predictions will be founded on facts so ill-ascertained, so shifting, and so indefinite that the predictions will be little more than conjectures made on principle, instead of being made at random or from prejudice. The best evidence in favour of this view of the future science of history is to be found in the books which have a claim to be considered as written on philosophical principles. M. Guizot, M. de Tocqueville, Mr. Grote, Dean Milman, and Mr. Merivale are surely entitled to be considered scientific historians. Any one who has read their books with attention must have perceived that even they were not large-minded enough to take in all the facts relevant to the questions which occupied their attention, and so to invest their predictions with anything approaching to the precision and completeness which are rendered possible to astronomers by the simplicity of the facts which they study, and the precision of the language in which they can describe them. Great as is the genius of M. Guizot and M. de Tocqueville, it is impossible not to feel that the immediate future filled a somewhat disproportionate place in their speculations. They looked naturally and wisely at the broad features of the state of things before them, and foretold, generally with accuracy, the broad alternations which they presented; but their writings can scarcely fail to suggest to any one who is placed at a slightly different point of view, and belongs to a different generation, that the society which they observed was traversed by many influences of which they were hardly able to trace the direction or to measure the power, and which will, probably, in the course of time considerably modify the results which they predicted. Thus M. de Tocqueville's preface to his great work on America is an eloquent, and, as his memoirs sufficiently prove, a mournful prophecy of the universal triumph of democracy and equality. No candid person can doubt the wisdom or the truth of much of his doctrine; but no one can look upon the world in which we live without seeing that this truth has its limits, that men have other impulses and desires than those which tend to produce equality, and that these desires will find ways to gratify themselves. The works of these great writers afford admirable illustrations of the limitations under which scientific history is possible. The most important of these is the indefiniteness of the terms which it is obliged to use. Let any one try to define "democracy" or "the equality of conditions" with a precision at all approaching to that with which a mathematician defines a parabola, and he will see that the difference between the conclusions at which the two classes of speculations will arrive, is as great as the difference between Dr. Livingstone's description of the appearance of the country which he explored and the ordnance survey of an English county. Each has its value; neither can be done well without qualities of the highest order; but the two things are intended for .essentially different purposes. The books in question are further valuable because they afford conclusive evidence of the absurdity of the notion that there is any opposition between scientific history and morality, or a belief in the existence and immense practical importance of differences of individual character and the exertion of individual free-will. It would be difficult to name any book which contains nobler lessons of morality or more striking illustrations of the enormous value of individual greatness and of the permanence of the effects which it produces than Mr. Grote's History of Greece. The great interest of the book—its distinctive character—is derived from the illustrations which it supplies of the reaction of institutions and national character on each other, and of the permanent importance of the achievements of great men. The way in which the freedom of Athens and the mobile, ingenious, sensitive character of the people modified each other; the spirit of fairness which the daily practice of the Athenians in the assemblies and law courts infused into their political relations; and the readiness with which they recognized personal superiority, were some of the causes which in about three generations conducted them to the height of their greatness, notwithstanding the unprincipled cruelty into which they were capable of being betrayed. In about an equal period they declined to the condition of a subject people—a sort of university town, more illustrious than Oxford or Cambridge, but, politically speaking, hardly more influential. Mr. Grate's book ought, if the popular notion of scientific history is true, to show that this was a result which might have been predicted, which ought to have been acquiesced in, and which no human efforts could have altered. In fact, it shows nothing of the kind. It certainly explains how the facts came to happen, and what were the general causes which preceded their occurrence ; but it also shows that something very different might have happened—unless, indeed, the fact that history will not run back and re-write itself in a different shape, in order to confute fatalists, is a proof of the truth of fatalism. A series of measures easily within the reach of Greek politicians—measures which they were free to adopt in exactly the same sense as that in which they were free to stand up or to sit still—might have altered the whole history of Greece, and so the whole history of Europe. Can any reader of Mr. Grote's work doubt that Alcibiades and Nicias inflicted deadly injuries on Athens; that Pericles, on the other hand, was a great and wise statesman; that the Athenians made a fatal mistake in allowing Philip to conquer Olynthus; or that the whole history of Sicily shows how a country might, under the circumstances which then existed there, be ruined by the selfishness, the wickedness, and the fundamental want of principle, which beset almost every Greek of pre-eminent personal capacity? In a word, does not the whole history present a series of alternatives, which, if wisely employed, might have made Greece a powerful, united, and free nation; and can we not trace at each step the results, for good or for evil, of personal individual free choice? Of course, Pericles could not by any efforts have made his countrymen adopt the habits of Tartars or negroes; he could not even have given them the institutions of Spartans or Thebans; no sensible person ever supposed that he could; but if, on some twenty or thirty occasions in the course of two centuries, a certain ascertainable number of persons had prevailed on the Athenians to have taken certain steps which it was entirely within their power to take, the whole history of Athens would have been altogether changed, though the general principles on which Mr. Grote explains the actual course of events would have been just as true as they are now. Historical science no more proves that history could have happened in no other way than architectural science proves that St. Paul's Cathedral could have been built on no other plan. Science, in point of fact, is so far from being injurious either to morality or to freedom, that without some principles either being, or claiming to be, scientific, neither morals nor freedom would exist. Morals would not exist, for every theory as to their nature sanctions and recognizes the necessity of discovering the relation between actions and their consequences. If there were no uniformity in human feeling and conduct, this would be impossible. Murder, considered as murder, would sometimes cause terror and pain, and sometimes not: Men would sometimes resent friendship; and kindness, as such, would occasionally produce hatred; nor would it be possible to say that these results were abnormal, or that they required explanation by recurring to other principles. Freedom would not exist, or would be useless, for freedom means the power of choosing between two or more branches of an alternative, according to the wishes of the person who makes the choice; but scientific history in its own province, and other sciences in theirs, point out the nature of these alternatives and the consequences of adopting either branch of them. Without information on these points, a man could not be said to choose at all. The information which he possesses may be true or false, complete or imperfect, according to circumstances. A true science will give him true, and a false science false information. This does not affect his freedom, though it will certainly affect his wisdom; but if he does not know what he is doing, his conduct is an occurrence and not an action, and his responsibility is for ignorance and negligence, not for the thing which he has done. Circumstances are to conduct what friction is to motion. They at once restrain it and render it possible. If there were no friction, a man might send a stone fifty miles along a level road by a single kick, but he would not be able to kick it. It is the friction between his other foot and the ground which at present enables him to do so. If circumstances presented people with no alternatives, and everything were always possible to every one, men would not be free, because, being able to do opposite things at once, they would not choose. We say that a man is free to eat beef or mutton or not, who has the power of eating which he pleases or of abstaining from both or either; but if he were so constituted that he could both eat and not eat each or either, the word freedom would have no more application to him than the sense of smell has to colours.